Hello! 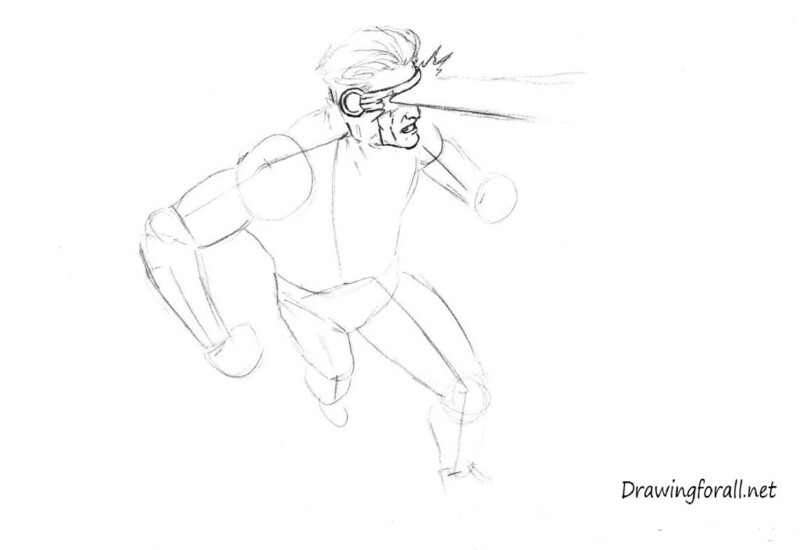 Today, the main hero of our drawing class will be the team leader of the X-Men, Cyclops. 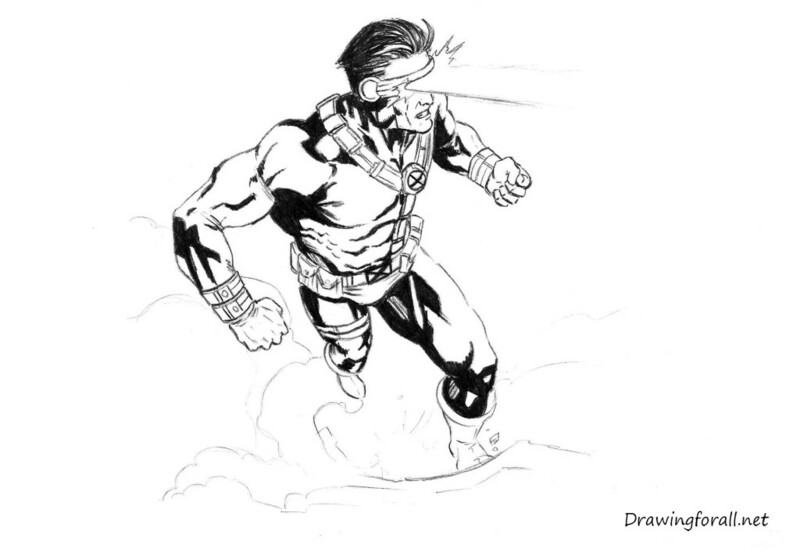 “Cyclops” is a nickname, the actually name of this character is Scott Summers. 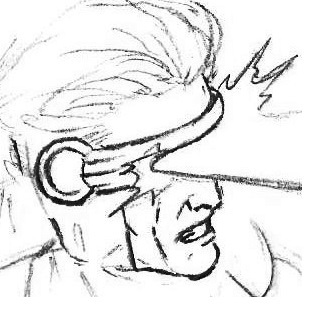 Cyclops is a wise and discreet man. 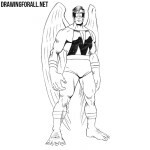 It is the Cyclops comes up with different action plans and tactics for the whole team X-Men. 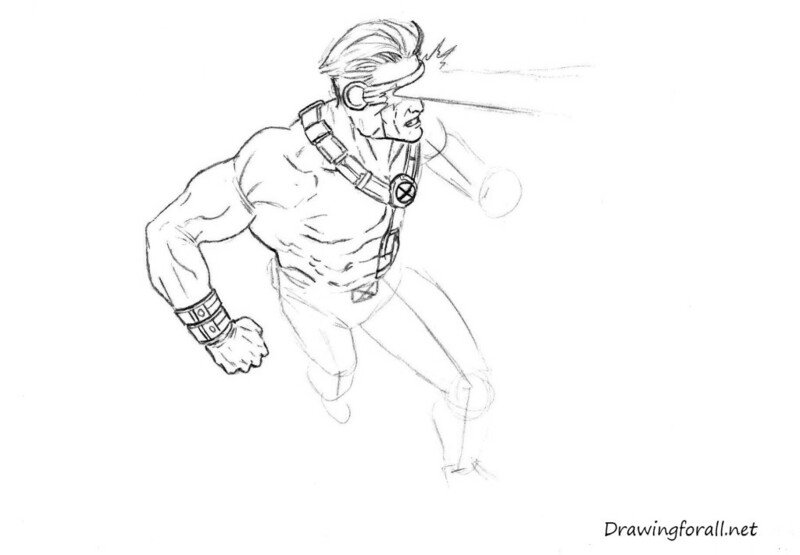 Cyclops have a lot of respect among the X-Men members, the only person he has occasional quarrel is Wolverine. But today we will talk about how to draw Cyclops. So, let’s start the tutorial! 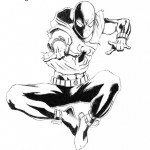 Draw a stickman figure of our hero. 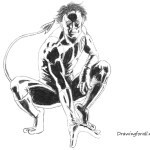 Note that in this drawing lesson we are dealing with a very unusual angle. This perspective greatly distorts the proportions in the early stages. Using an oval draw the head. 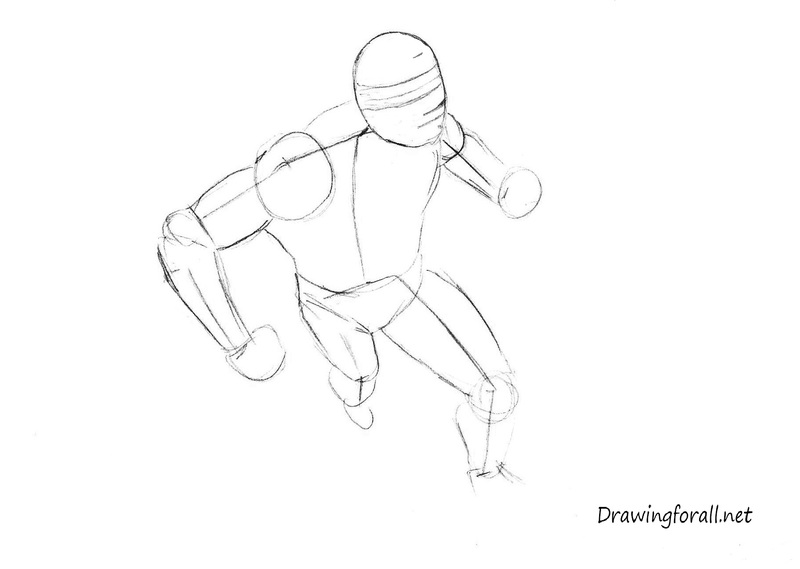 Using simple lines draw torso, hands and legs. Note, that in this step you should not press down too hard on a pencil. 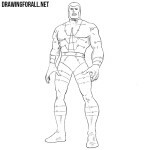 Draw the contours of the legs and lower part of the torso. 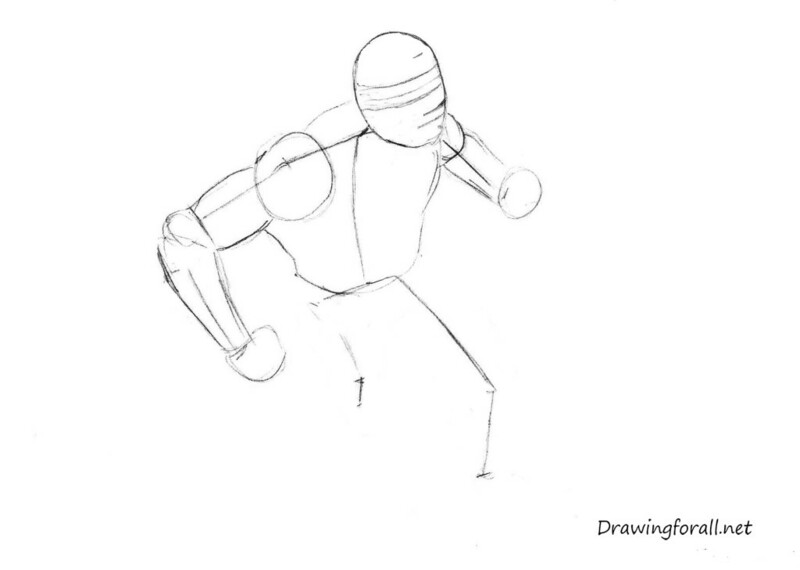 Note how interesting it looks like the figure in a dynamic perspective. Use cylinders and circles to denote the contours of the legs. Using the lines from the second step, we will draw the details of the face of Cyclops. Note, that hair should be drawn from the roots to the tips. 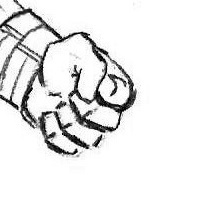 Don’t forget to draw nasolabial fold. 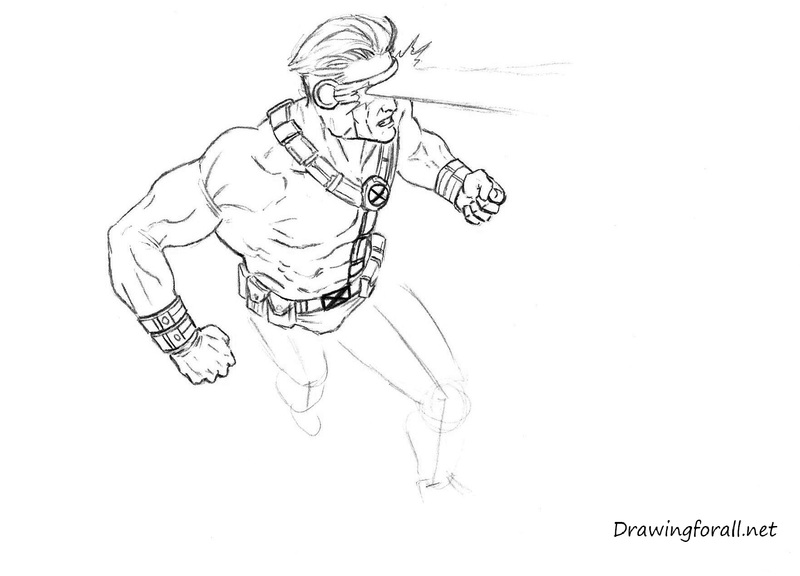 In this step, draw the Cyclops neck, clavicle area and the main part of the torso. 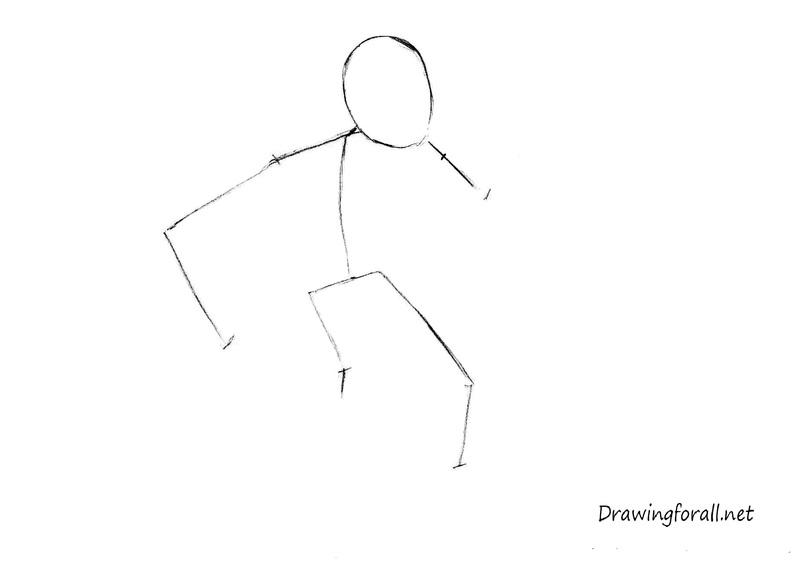 Draw out the outline of the legs. 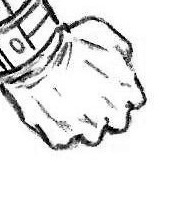 Draw the boots and straps on the left leg from us. Also in this step, draw the smoke. 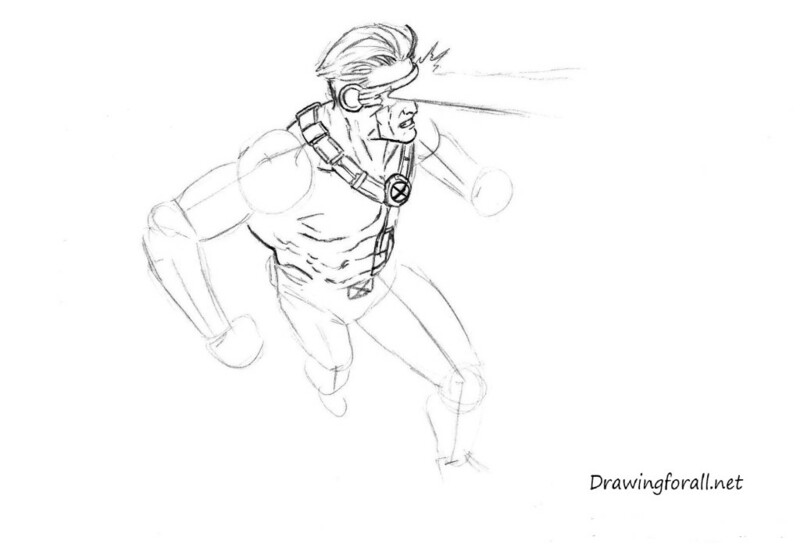 Lesson on how to draw Cyclops from X-Men, concludes the work with the shadows. 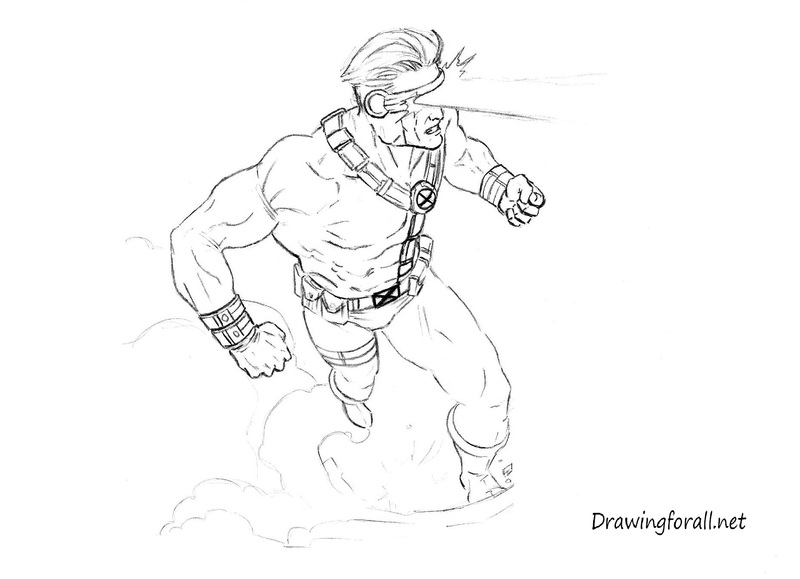 Shadows overlap here also, as in the drawing lesson Iron Man. 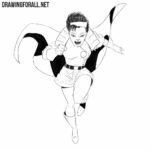 It was a good work – in this drawing tutorial we have a really difficult perspective and proportions. We’ll see you next week. Goodbye!